Devil Wears Prada Sequel Confirmed!! The author of The Devil Wears Prada, Lauren Weisberger, has confirmed she is writing a sequel to the best-selling 2003 book. ‘Revenge Wears Prada: The Devil Returns’, continues with former magazine assistant Andy Sachs eight years after the first book. 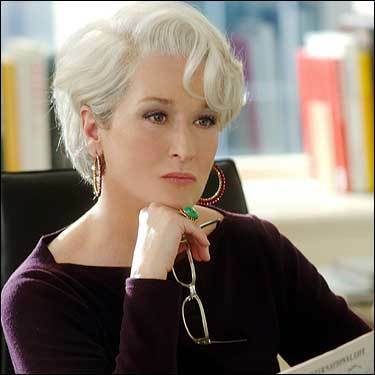 The story now sees Andy (a bridal magazine editor) crossing paths with old boss, Miranda Priestly with a few other favorites! The book will be published by HarperCollins in the UK next April. Previous Post Amber Rose by David Field for Blackbook!!! Next Post Kristen Stewart in Vanity Fair Shoot!! Enter your email address to subscribe and receive new updates and giveaways!